My danh sách of the most beautiful female characters; who do bạn think is the most beautiful? If bạn were an anime character, which hair color would bạn want to have? a comment was made to the answer: My yêu thích character is Sasuke. a comment was made to the answer: I think everyone knows how much of a Sasuke người hâm mộ I am bởi now. xD Outside of Naruto I also really tình yêu Bakugo Katsuki. 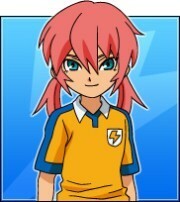 Is Kirino Ranmaru a boy hoặc girl?